The vital essences are prevalent in all living things and well-being is achieved through balancing them. When one dosha is higher than another, the person (or plant or animal) will exhibit ailments that reflect that particular set of vital essences. 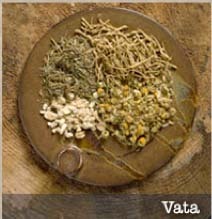 For example, if a person is imbalanced in Vata, they will have a tendency towards health problems that relate to air and space - dry skin issues, weight loss, constipation, anxiety, insomnia, and the like. These blends are listed under the doshas that are typically imbalanced when their intention is needed. 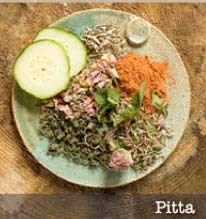 Throughout the website, on the product details page for each blend, you will notice a V,P,K, (Vata, Pitta, Kapha) rating where the energy of the blend is described. A (-) means it lowers that dosha, (+) means it raises that dosha, and (=) means it is neutral to that dosha. 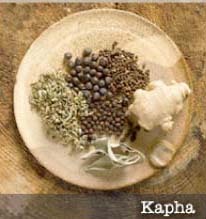 For example: -V,+P,-K would describe a blend as balancing (lowering) to Vata, would raise Pitta and lower Kapha.